It’s good to sit down after a long day at work, or a hike through town. 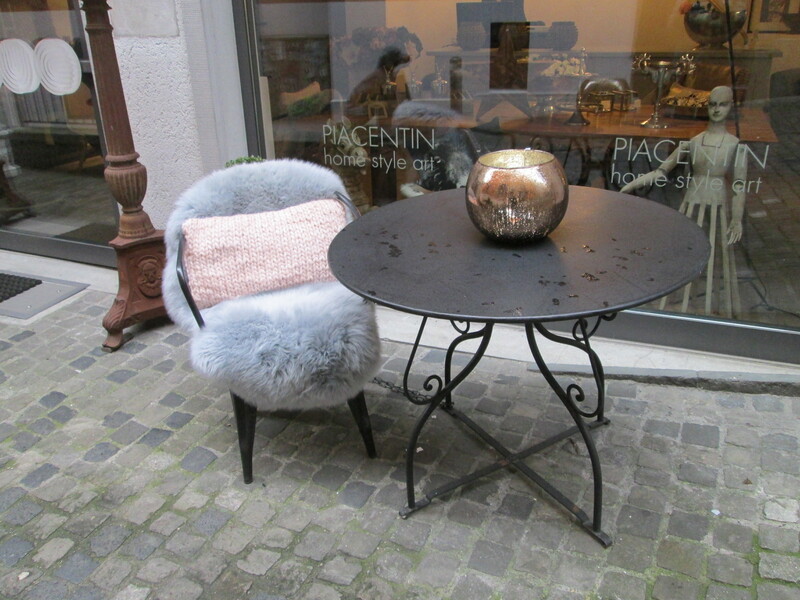 Or just because you want to treat yourself to a coffee/wine/chat with a friend. Here are some of the more interesting sitting places I’ve come across this year. 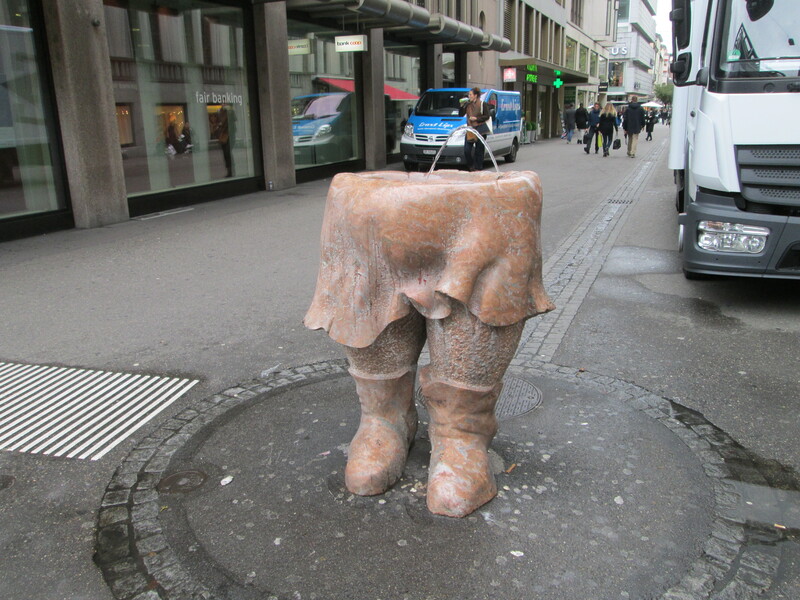 First of all, summertime in Bad Ragaz. (Johanna Spyri’s Heidi passed through here on her way up to Grandfather’s hut on the Alp.) 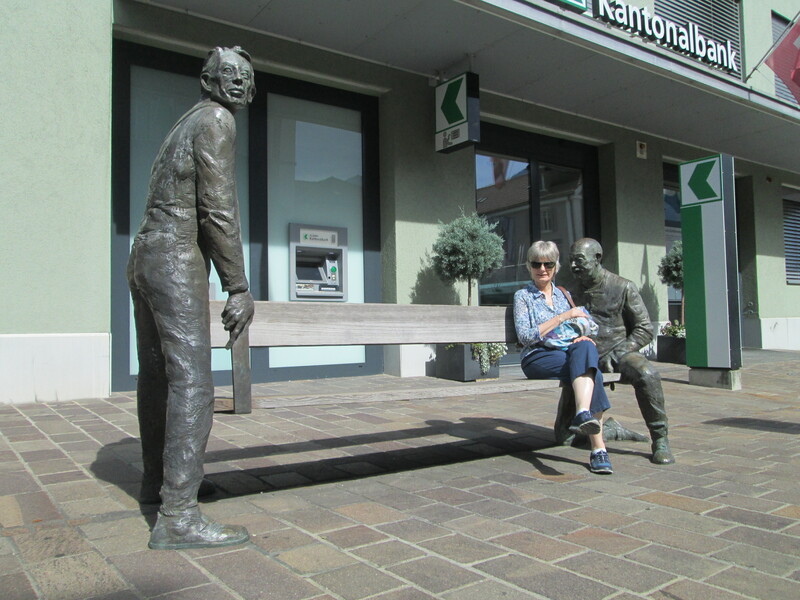 I don’t know who these two gentlemen are, but it was a lovely seat in the sunshine. On to Chur. 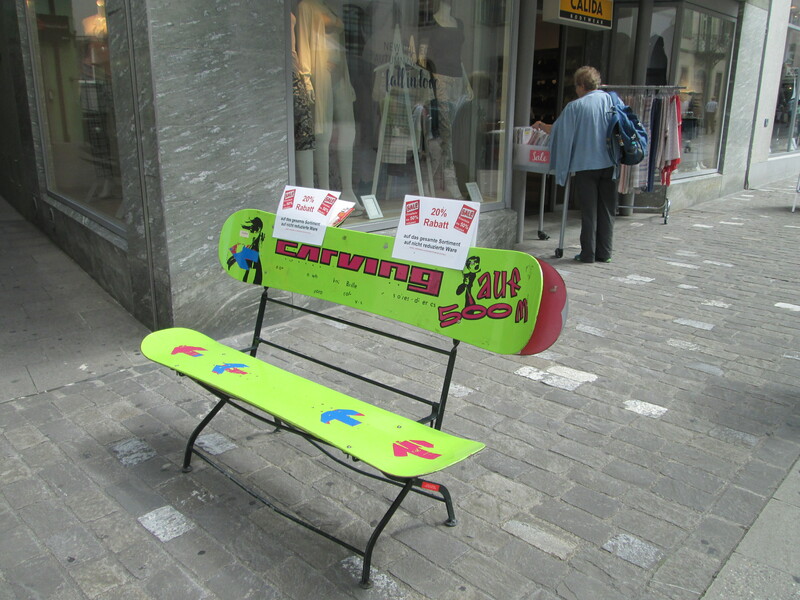 You can’t do much snowboarding in summer, but you can sit on one outside this sports shop. Fast-forward a few weeks. 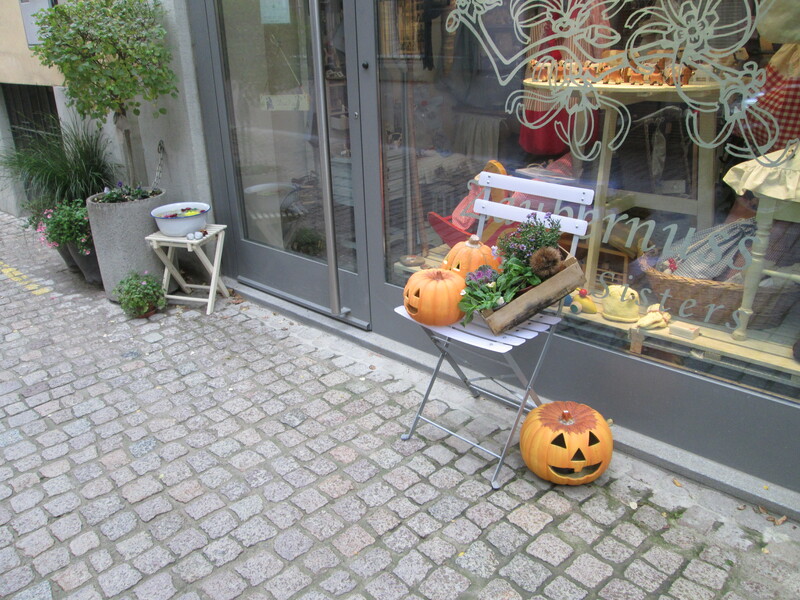 We’re in Zürich, and it’s pumpkin time now. 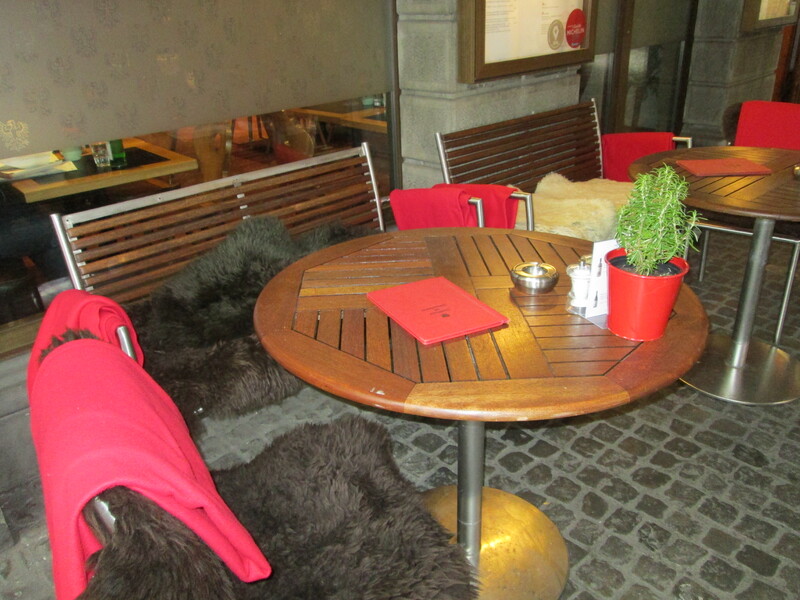 No one was taking advantage of the blankets and furry seat covers this pavement cafe provides for its customers. Nor here. But by this time the rain was starting, so I decided to call it a day. 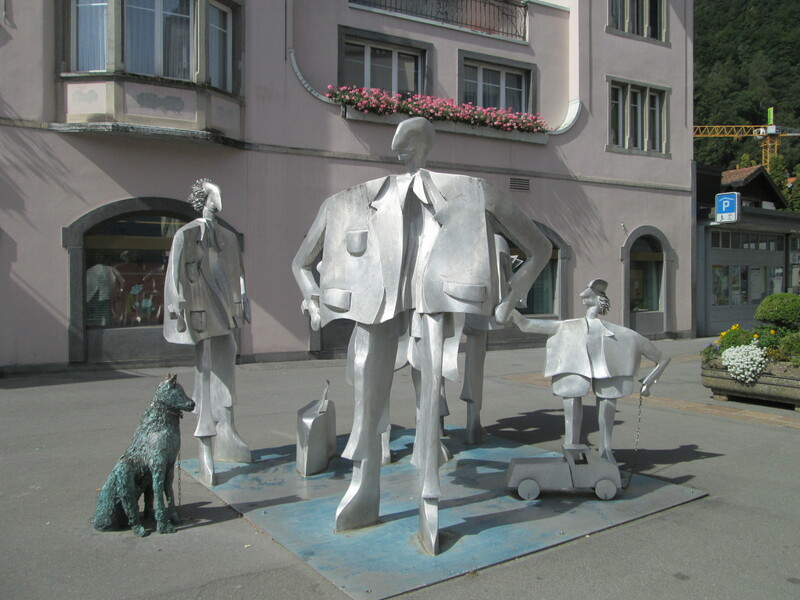 This entry was posted in Life in Switzerland and tagged Bad Ragaz, Heidi, Switzerland, travel, Zürich. Bookmark the permalink.